The Bay Area theater calendar includes performances in San Francisco, the North Bay, San Jose, Oakland, and more. You will find a variety of options from large Broadway productions to wonderful shows at smaller local theaters. Below you will find a schedule of top performances for each region within the greater Bay Area, as well as details on where to find more productions and how to get the best tickets. The first place I recommend to look for Bay Area theater calendar tickets is Goldstar, my go-to site to find discounted tickets at up to 50% off. The list below is just a sample of what they have to offer. You will find dozens of shows in San Francisco every week. This is where you will find most of the big Broadway productions such as Wicked, Hamilton, and The Book of Mormon. If you want to see a full list of shows, click here for a detailed theater calendar for San Francisco. Tickets to upcoming productions in San Francisco. Another city with a popular Bay Area theater calendar is San Jose, just over an hour south of SF. Here you'll find several musicals, Broadway hits, and smaller shows throughout the year. Below are some of the top shows on the San Jose theater calendar for this season. Click here to find a full calendar with show descriptions, ticketing information, and other details. Tickets to upcoming theater productions in San Jose. You will also find a full Bay Area theater calendar at stages all around the North Bay. This region hosts many smaller and first-time productions. The theaters are often more intimate, giving you the chance to get up close to the stage. In addition, you will find some larger outdoor productions each summer. Click here to head to a full calendar of shows in the North Bay. 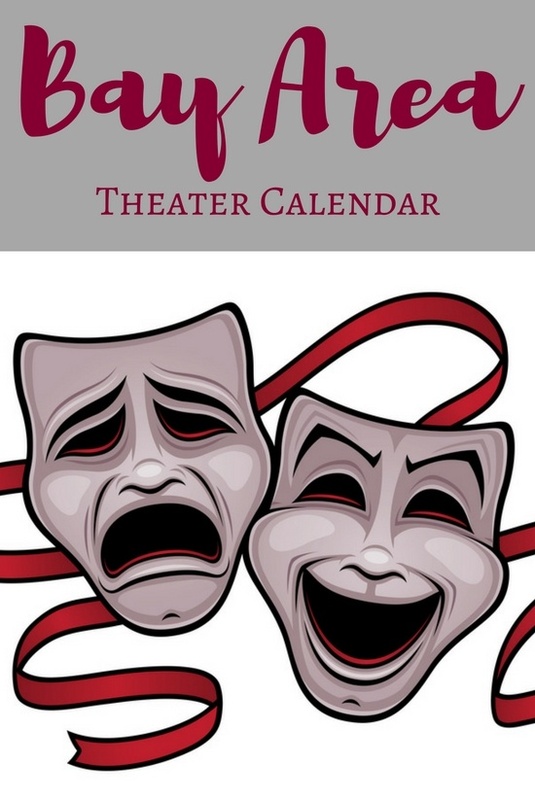 The Bay Area theater calendar for the East Bay includes performances in Berkeley, Oakland, Walnut Creek, and other cities. Many of these shows are an easy to get to on BART public transportation. Here are the top upcoming shows. In addition to San Jose, the Peninsula and other South Bay cities also offer great theater performances. 5/9 - 5/26: Mamma Mia! Are you looking for additional events in San Francisco and the Bay Area? Click the links below for a full calendar of events for each month. Opera: The SF Opera is another popular performing arts option. They have two seasons each year, one during the fall months and the other during the summer from June to July. They produce many classic operas, including Madame Butterfly, La Boheme, and Carmen. Click here for this season's SF Opera shows. Ballet: The SF Ballet was the first company to perform the Nutcracker in the US, and they continue to delight audiences during their annual performances of this Christmas classic. They also offer a full season of shows from January to May. Click here for details on seeing this year's Nutcracker performances or one of their regular season shows. Symphony: The SF Symphony performs throughout the year. Each month, they offer around a dozens shows. You will find classical performances, as well as nights when they play scores from a specific movie. Some of their other shows feature well known singers and conductors. Click here for a full schedule of SF Symphony shows this year. All Shows: In addition to the performances mentioned above on the Bay Area theater calendar, you will find a variety of shows all year long, from concerts to comedy to art shows. Click this link to find more shows in SF and throughout the Bay Area.